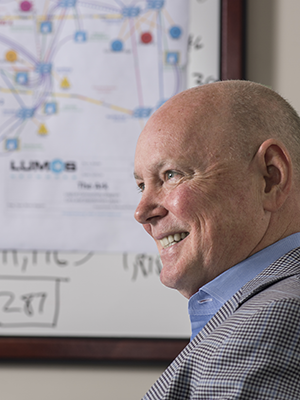 Tim Biltz, the president and CEO of Lumos Networks, has been leading a $425 million transformation of the Waynesboro-based company since he took the reins five years ago. 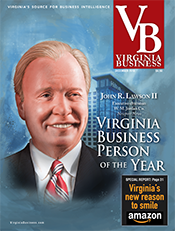 His goal has been to turn the former landline telephone division of NTELOS Holdings Corp. into a major developer of advanced fiber networks in the mid-Atlantic. “We build the infrastructure,” Biltz says. “We’re the new roads” for data traffic. Lumos provides local telephone service to 22,500 homes in its rural local exchange carrier (RLEC) territory, a business it plans to keep. But Biltz made it clear in his first message to the Lumos staff that telephone services would not be the company’s primary business. Lumos had total revenue of $206.9 million in 2016, up more than 1 percent from the prior year. The company ended the year with a net loss of $500,000, or 2 cents per diluted share. Total adjusted EBITDA (earnings before interest, taxes, depreciation and amortization) was $95.1 million, up more than 3 percent. The company was spun off as a separate, publicly traded company in 2011 by NTELOS Holdings, the parent company of the Ntelos Wireless phone system. Nearly six years later, the Ntelos brand has disappeared. The company was sold last year for $640 million to Edinburg-based Shenandoah Telecommunications. Lumos is being sold, too, but it expects its name recognition to grow. EQT Infrastructure, a unit of the Swedish private equity firm EQT, plans to buy the company for $950 million in cash, $18 a share. Lumos shareholders approved the deal in late May. The acquisition is expected to be completed during this year’s third quarter. Biltz says the EQT deal will allow it to continue to pursue a growth strategy that is already underway. 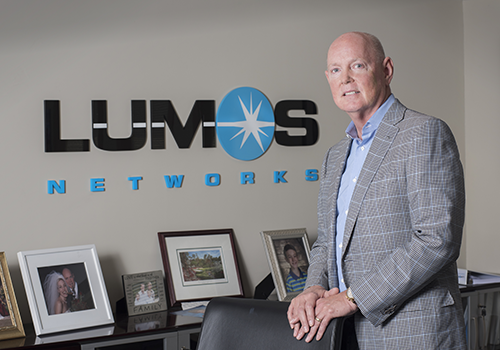 Lumos has a 10,907-route-mile fiber-optic network serving 26 markets in seven states. That network includes an 822-mile expansion in the Richmond area and Hampton Roads. It was completed during the past three years as the result of separate projects serving two customers, HCA Virginia and a major wireless phone company that Lumos declines to identify. The expansion offers Lumos the opportunity to serve other potential customers near the network that want faster internet and better ways to handle their data. The company also provides private networks to customers that have multiple locations. Lumos also has made two recent acquisitions. One was the purchase of Raleigh, N.C.-based Clarity Communications, a fiber network company with experience serving military installations. Lumos estimates that 409 military bases are within its network footprint. The second deal involved DC74 Data Centers in Charlotte, N.C. The two deals added seven data centers to Lumos’ existing group of seven. The company now connects to a total of 43 data centers. 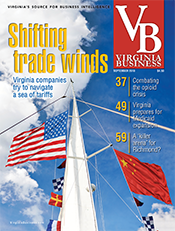 Lumos’ expansion into Hampton Roads has presented it with a huge new opportunity. 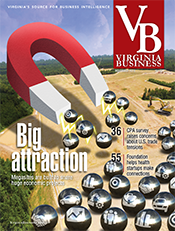 Its network there lies within a half mile of the Virginia Beach landing site for undersea cables. (Two cables, MAREA from Spain and BRUSA originating in Brazil, are expected to become active over the next 12 months.) Lumos will offer an alternative route to cable users wanting to connect with data centers in Ashburn, known as the Data Center Capital of the World. Rather than follow heavily used fiber routes along Interstate 95, Lumos’ path will follow I-64 and Route 29 to Ashburn. The route also provides access to data centers in other cities along its path, including Richmond. Before becoming president and CEO of Lumos, Biltz was chief operating officer of SpectraSite Inc., a publicly traded wireless and broadcast signal tower company. He also is a former director and chairman of the board of IPCS Inc. and served on the NTELOS Holdings board from 2006 to May 2014. Biltz lives in Charlotte, N.C., with his wife and two sons. A history buff, his goal is to take his family to all of the U.S. National Parks during their summer vacations. The Lumos CEO acknowledges that the company’s transition has been tough at times and praises the commitment and perseverance of his 600 employees. 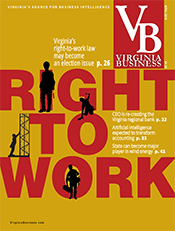 Virginia Business interviewed Biltz at his Waynesboro office in mid-April. The following is an edited transcript. Biltz: We have two main customer segments [in the company’s data business, wireless carriers and enterprises]. With our wireless carriers … we bring the backhaul [the fiber connection to the core wireless system] to the towers. So, as opposed to fighting the wireless replacement [of landline phones], we embraced it. We do think it’s the best and most friendly way to bring broadband services to many parts of the country. We enable the wireless carriers in that technology, and once we built those networks for the wireless carriers, we began offering enterprise services: high-end private networks and high-end Ethernet services … to what we like to call the “large locals” like banking, local government, midsize [companies] and universities. VB: Let’s talk now about the acquisition by EQT. Why did Lumos decide to sell? Biltz: There wasn’t a lot of interest in the company in 2012 or ’13 because 90 percent of our business was in [long-term] decline. Revenues were dropping, and cash flows were dropping … Fiber has become very strategic to many companies because they’re mission critical. Companies like Google, Facebook, Amazon and Netflix are big consumers of these products for content, delivery and connectivity, and the wireless operators also are investing heavily. There’s been a lot of consolidation in this industry. We expected [inquiries from potential buyers] to come and they did. We had conversations, I think, with [more than 10] companies … EQT is a very well-known private equity firm that is based in Stockholm, and a few years ago it decided to make a major move into the U.S. EQT created a $4 billion infrastructure fund, and we’re going to be the first investment in that fund. ... They want to use us as a platform to make continued investments in the infrastructure space, and they were willing to pay our shareholders the most money to do that. VB: How will that change Lumos? Biltz: At a strategic level, all the capital that we have invested we were able to raise through debt. I’ve raised no equity since I’ve been here … Between cash that we generated from the business and new debt facilities, we were able to invest $425 million [in the company’s transformation]. For us to grow to the next level, the company was going to have to use equity [to keep the company within appropriate leverage ratios, its mixture of equity and debt]. I think the opportunity that it presents us is to begin to scale our acquisition strategy. We’ve done a couple [of acquisitions]. We did those with cash, but they were relatively small. I would suspect that we will continue our investment strategy by redeploying our cash flows into good projects that we grow organically, but I think we will be more apt to participate in out-of-market acquisitions to scale the business. VB: Would those be within your existing area or would you be looking to grow outside of your territory now? Biltz: I would say ... the value of the network is in its contiguous nature so that we can offer customers a broader reach. We think about scale being density, not geographic reach. If we could find a business, and we’ve looked at some, where if we could find a geography where the fiber was dense enough and we could replicate our “go-to-market” strategy, we would entertain it, but they’re few and far between … The data-center investment strategy doesn’t need to be tied to the fiber strategy. We just acquired a [data center] business down in Charlotte. We really like that business. 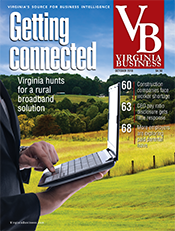 We acquired a fiber network in North Carolina as our move to broaden our reach. If we found a data center in a market that wasn’t exactly [in our footprint], but was in close proximity, it doesn’t have to be on the network for us to make that investment. 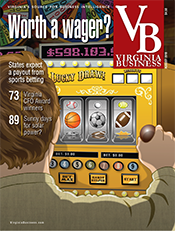 VB: Tell us about your moves into Richmond and Hampton Roads. Biltz: Flashback to 2012 and ’13 … We asked four questions. What’s selling? What’s not? What are we making money on? What are we losing money on? ... It became apparent that, for us to grow the business, we had to do two things. One, we had to work through a technology evolution, going from an old technology … in our enterprise business to one of Ethernet and dark fiber and fiber. Second, for us to grow … we were also going to have to improve market share. While we have nice market share in what we call our core markets, or the original markets the company was in, we felt that we needed a greater market opportunity. We had a customer, HCA, [which wanted an Ethernet network connecting key facilities and offices to its Richmond data center. Lumos created] what I call a boutique network in Richmond that was able to service HCA. I call it a boutique because there wasn’t a lot more we could do with that network. It was pretty much a private network for them. 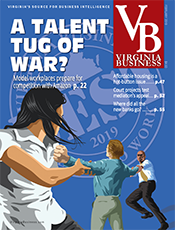 But had we not gone into Richmond in that manner, we would have never had the opportunity to bid on a project with a wireless carrier that ultimately brought us a substantial multiyear contract to build out a network in Richmond and Norfolk. 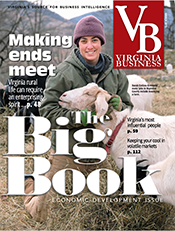 So taking care of HCA led us to the opportunity to bid on a bigger project … We went from being a boutique provider in Richmond and nonexistent in Norfolk to being what we call the lead competitive fiber provider ... What that did is, with about a 10 percent increase in our total miles, it [increased] our market opportunity [by 65 percent], and that gave us the path to growth. VB: That brings me to talking about the cables in Virginia Beach; you didn’t know about that [before expanding into Hampton Roads]? Biltz: I was lucky, just lucky. I’ve been lucky my whole career, but that was the luckiest one … [The planned undersea cable connections] changed the profile of the company. We are connected to many data centers in the Ashburn area. 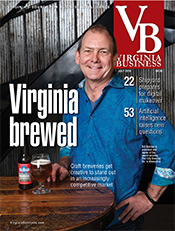 We were fortunate in that the state of Virginia is to be the largest internet access point in the world … I think you are going to see substantial data-center development in the Norfolk area. You’re going to see substantial traffic. We have some express routes that we hope to provide to those carriers that want to get from Virginia Beach into Ashburn and to other access points throughout the country. It’s very exciting for the region. VB: So tell me about your strategy. I have heard something about an alternative route to Ashburn, correct? Biltz: If you think about those big pipes going international, whether they’re coming from Brazil or Spain, they have to go somewhere once they get here. 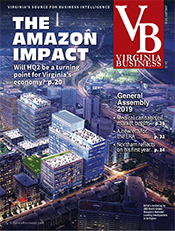 Some of those destinations are going to be data centers that are located in Virginia Beach, but there’s very few that will not want to get to Ashburn, and everybody that has traffic wants redundancy. A company typically will have two diverse paths because fiber cuts happen; accidents happen. 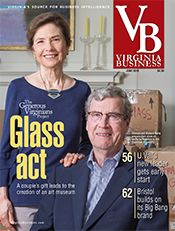 We have a very solid, diverse option that will be able to go from Virginia Beach to Ashburn without going up the 95 corridor where there’s a lot of traffic. VB: Let’s talk a little bit about Clarity Communications. So I understand that is in part a strategy to approach potential military clients? Biltz : Yes, it is. I’ve known the company for a long time. It has very talented executives, a small team … and they built a really terrific business servicing the military and government businesses throughout the Carolinas and Georgia. They had gotten to a point, like a lot of small companies, that they needed capital to upgrade their network and to reinvest significantly. The opportunity to bring them into the Lumos family was one that they were excited about, because they could continue to invest in their network and bring their skill set to our military bases. There are [more than] 400 military facilities in and around our 10,000 miles. We immediately put them to work, and they’ve made traction. I think we’ve sold at least two, maybe three of the accounts since we’ve started. It’s a skill set that we just didn’t have, and they know that space very well. VB: And now you’ve also bought some data centers [from DC74]? Biltz: Yes. Again, another entrepreneur [DC74 CEO Tareq Amin] that we’ve known for a long time … We want to bring the energy of a startup [to Lumos], bring in some really talented, skilled executives or entrepreneurs that know how to take care of customers, know how to move fast, know how to be responsive … Tareq and DC74 are perfect examples of that. He’s got a very nice business. He’s about less than 50 percent at capacity, and we plan to grow that business. It won’t be the last acquisition at the end of the day, that’s for sure. VB: That’s what I was going to ask. Do you plan to add more? Biltz: We like the data center business. What we won’t do is go to Ashburn and build a big data center. We’re not going to try to compete nationwide. We like the large [local customers]. We think that there’s a market for large locals, and we see it in our own current data facilities. I like to say that I look at them as equipment rooms — they’ve changed the name to data centers — providing reliable and price-competitive space and power in the right locations. We like Charlotte. Charlotte is a market that’s growing rapidly, and [DC74 has] the nice share of that market. We’ll integrate that into our current customers, as well. I don’t know what the right number will be as far as the percent of our revenues, but we think … it could grow to 10, 15 percent of our revenues ... Over time, data centers will get closer to the customers. VB: And that path we were talking about from Virginia Beach up to Ashburn, do you already have that? Biltz: There’s one area that we will be building to add capacity, but 90 percent of it is in place today. VB: Anything that we didn’t touch that you would like to mention? Biltz: I would just say one thing: Why do people do business with us? It is because of our people. I really want to emphasize that was part of why, I think, EQT ended up acquiring us. We’re very transparent. We’re very customer focused. We’re very responsive … I’m a history buff, a [Winston] Churchill fan, so when I try to put it in perspective where we were in our transformation, I would describe 2013 as the Battle of Britain. We may not have won the war then, but we knew we were going to after that because we were battle hard. We asked this team to take pay freezes. We asked this team to give up their bonuses in order to invest in the network. [Some people expected many employees to leave, but] the lowest turnover we ever had was the year we asked our people to make a sacrifice. They saw what we were doing with the network … bringing first-class services in … To every new employee, I tell them, “You don’t know how good a team you are joining.” That is something that is part of the DNA of Lumos.